Where do I find my luggage? I have had very good luck finding high-quality luggage at Costco. In fact, with one exception, my last four luggage purchases have been at Costco, at a substantial discount off the store price. About a year ago, I picked up a Ricardo set which, while not at all flashy, is built like a tank. 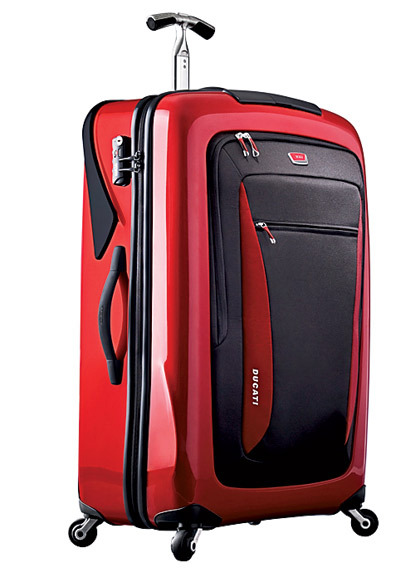 My most recent purchase was the very stylish Tumi Ducati piece pictured. If you are looking for luggage, stop by your local Costco and see what they have. You might be pleasantly surprised about what you find. You’re going to be stranded. What should you do? I hope I didn’t scare my parents too much when they read my post!